Founder, Valley Ridge Farm, Inc. When Valley Ridge Farm, Inc. was founded, it signified the culmination of Michele Koury’s life-long dream. Michele rode with the renowned New Canaan Mounted Troop (NCMT), in New Canaan, CT, for ten years. During her time with NCMT, she also rode with the late Victor Hugo-Vidal and Ronnie Mutch and became the highest-ranking officer. 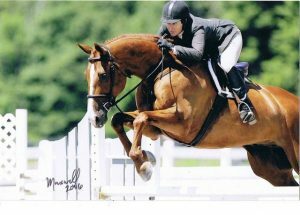 Michele learned not only to ride, but also to teach, organize horse shows, and manage a barn. Upon graduating from NCMT, she matriculated at Franklin College, where she graduated with a degree in Sociology. Following her tenure at Franklin, she continued on to work with the late Wayne and Frank Carroll of Elmwood Farm in New York State. Michele and her husband, Kevin, moved to West Virginia in 1976 and then founded Valley Ridge Farm, Inc. in 1980. In 1984, Michele founded the West Virginia University Equestrian team, which she coached until 2009. She took her team to numerous regional and zone reserve championships. In 2008, Michele’s WVU Equestrian Team qualified to attend nationals in Los Angeles, California where they placed tenth in the nation and had a rider named Reserve Champion. Michele served as the Regional President for the Intercollegiate Horse Shows Association (IHSA) for eight years and also sat on the National Board of Directors of the IHSA. In addition, her passion for all things equestrian has led to numerous accomplishments including successfully training numerous A-Circuit champion riders and horses, as well as multiple local, zone, national, and Professional Horsemen’s Association of America high-scoring and championship awards. Michele has long been a solid leader and entrepreneur in the equine industry. During her time in West Virginia, she founded several organizations of interest to equestrians, including the Northern West Virginia Hunter Jumper Association, The Mountaineer Hunter Jumper Association, and the Monongalia Riding for the Handicapped Association. Presently, Michele sits on the Board of Directors of the Mylan Park and Event Center. Michele is a United States Hunter Jumper Association (USHJA) Certified Trainer. This professional recognition indicates Michele’s broad range of skills and knowledge, including training techniques, rider and horse safety, horsemanship skills, and business ethics. 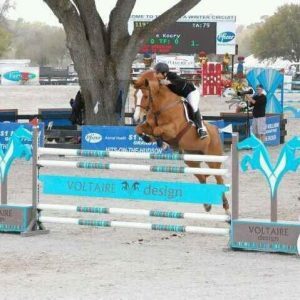 Michele learned the American Hunter/Jumper Forward Rider System directly from the program’s founder, Bertalan de Némethy, the Show Jumping Coach for the United States Equestrian Team. 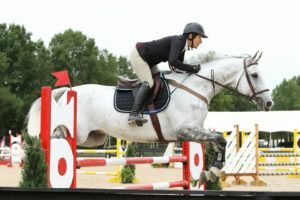 She promotes and teaches this riding system to her students, as well as all principles promoted by the United States Hunter Jumper Association. Throughout her career and life, Michele’s unwavering commitment to excellence in training, as well as all she does, is clearly the main factor to which her numerous successes can be attributed. This can be witnessed in the accomplishments of her students and horses, as well. 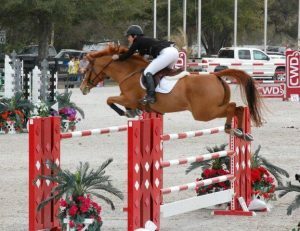 Michele currently competes on the A-Circuit in Grands Prix as well as the Working Hunter divisions. She also enjoys training and bringing along young horses to show and sell. Michele continues to hone her skills by attending clinics and working with other trainers. She is a dedicated protégé of George Morris and continues to work with Joe Fargis on a regular basis. Michele invites you to experience Valley Ridge Farm. It is much more than a place where you learn to ride and care for your horses. Our clients gain self-discipline and respect for others and their horses, as well as exemplary tutelage in excellence that can be applied to all areas of life.